When you’re looking for apartment rentals in Las Vegas, you feel like everything is out of your budget. In fact, average rent in Las Vegas is $1,005 per month, and sometimes, that’s just too high. 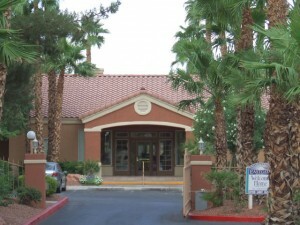 Only 10 miles from the Strip, this great apartment complex is near a golf course and just blocks from Sunset Park, with all its fantastic activities. Floor plans range from 657 – 1,114 square feet. Under a mile from the complex, you’ll find 5 restaurants, a Starbucks, shopping, groceries, banks, and more. About seven miles from the Strip, and offering full-sized washers and driers, walk-in closets, covered parking, a fitness center, plus 24-hour emergency maintenance, these apartments are the real deal. The grounds are well-maintained and there are plenty of trees. Floor plans range from 803 – 1,163 square feet. This complex is near everything. Within a mile, you’ll find 8 restaurants, a Starbucks, several grocery stores, pharmacies, convenience stores, elementary and middle schools, several parks, a movie theater, and banks. Just under seven miles east of the Strip, Tropicana Springs is about the same distance from Henderson and residents can just as easily enjoy all that the large suburb has to offer. All units come with a washer and dryer and the 1- and 2-bedroom apartments range in size from 675 – 880 square feet. Within a mile from the complex, you’ll find 6 restaurants, a donut shop, a Walmart Supercenter, elementary and middle schools, parks, a public library, and several banks. When you’re searching for budget-friendly rentals, Las Vegas is an intimidating place. It’s difficult to find decent, more-affordable apartment complexes because there are so many traps out there. The complexes on this list share a few things in common. They are managed by professional management companies who are great to deal with and have established policies in place so you know what to expect from each other and the complexes are within a reasonable distance of plenty of reputable shops and stores, so you know the neighborhood is up to a certain standard.